For courses in art and design foundations, interior design, fashion design, merchandising, graphic and communications design, and design marketing. The first color theory textbook ever! An in-depth look at color and how we perceive it. Color: How to Use It is the first in-depth color theory textbook that examines color interactions and how they can be manipulated in art and design. It is the first textbook on color theory that thoroughly explores color relationships and the compositional elements that completely change how we perceive color. It is the only textbook that is targeted toward the color theory student, with in-depth explanations of all elements of 2-D compositions, lessons designed to build skills, exercises, and a teacher's manual with objectives and assessment guides for each exercise in every chapter. Color: How to Use It makes learning color theory easier than ever. Organized in a clear and concise fashion, this book explains color theory through a gradual process. Chapters examine the history of color, color theory, the definitions of terms, color relationships, and the more complex interactions that come about from the elements of composition. 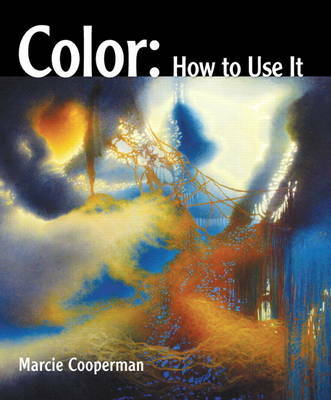 The text aims to help readers (1) learn to see color, color relationships, and elements of composition that affect the perception of color; (2) understand how altering just one color or compositional element will change the dynamics of a composition; and (3) gain skills in using color and composition to their greatest potential in 2-D design. Each chapter offers another piece of the compositional puzzle. Graphic illustrations, fine art, and photographs clarify how the chapter concepts affect color usage.